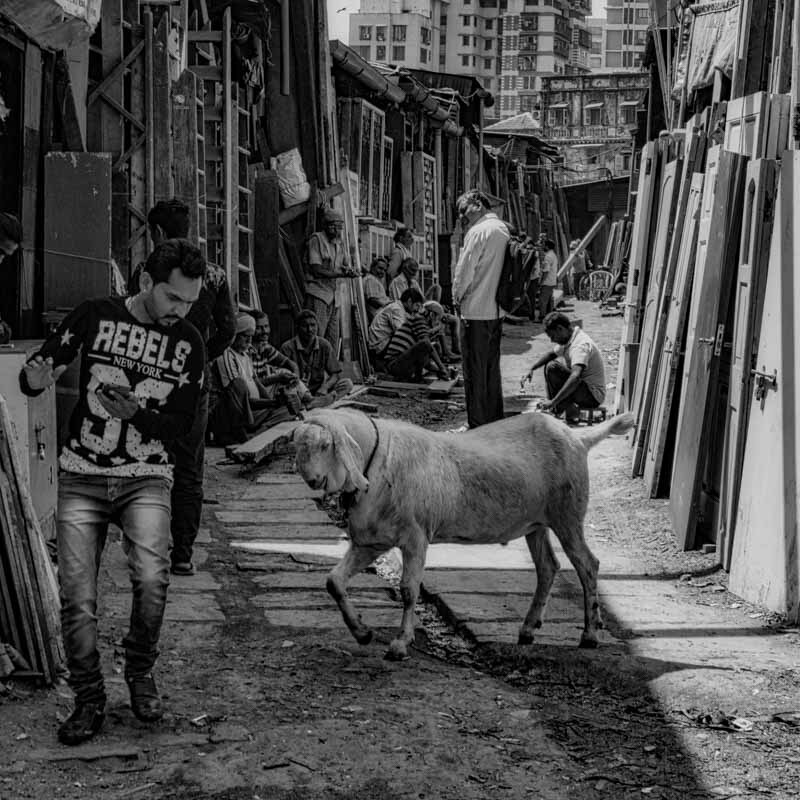 Today I took a photograph in one of Mumbai's Arabian Districts. This photograph, even only one picture, as there wasn't time for another shot. This image tells a story for me to remember. I was walking on the streets. Suddenly I notice a goat trotting toward an alley. I feel the energy of the scene and move toward it. And there, in front of me on the street, is a man with a T-Shirt and the writing 'Rebel' on it. And at the very same time that I see the guy with the T-Shirt, I observe the goat stepping towards him in a kind of aggressive mood. And it looks, for me, as if this guy had just time to get out of the way. And all around them are people; nobody else is looking at the guy but as usual in India, at the foreigner with the camera. So what's the story here?